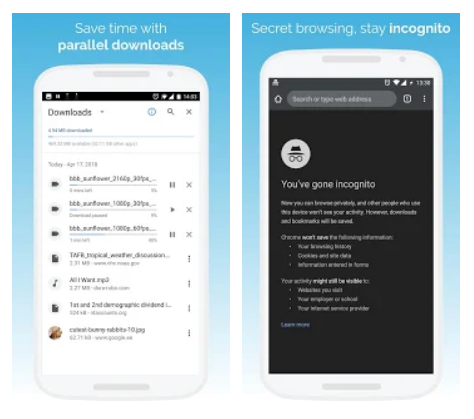 Kiwi Browser is based on Chromium and WebKit tools, made for the Android platform. Both the engine powers the popular Kiwi Browser to give seamless and fast usage with all the websites. 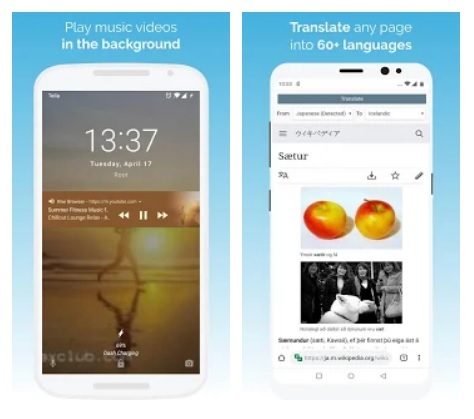 Kiwi Browser is made to read the news, watch cricket and soccer videos, movie trailers, listen to music, without annoyances. And it does all the mentioned things with great ease. 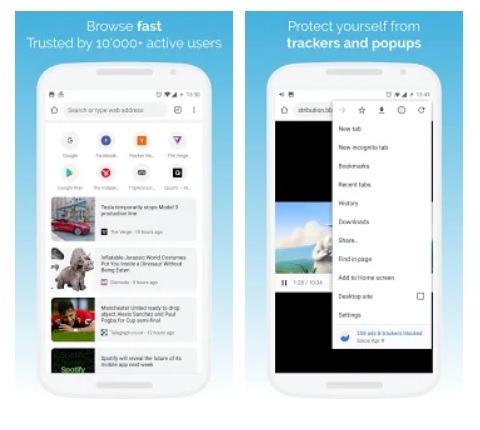 Let’s see what are the major features of this browser and how can you get the best out of it. It is a Chromium-based browser which makes the User Interface as simple as possible. As it is based on the latest Chromium code base, it has all the new features found in Google’s latest Chrome Canary builds just like the new split toolbar under Chrome Duplex feature. With its perfectly optimized rendering engine, users are able to display web pages super fast. It loads everything starting from the news feed pages to video-based links, everything as smooth as possible. It comes with a super strong pop-ups blocker that really works. Kiwi Browser works on GDPR compliant pop-ups and blocks the pop-up ads. It also removes most of the intrusive ads and blocks notifications automatically. However, it was a hit/miss case for a few times. 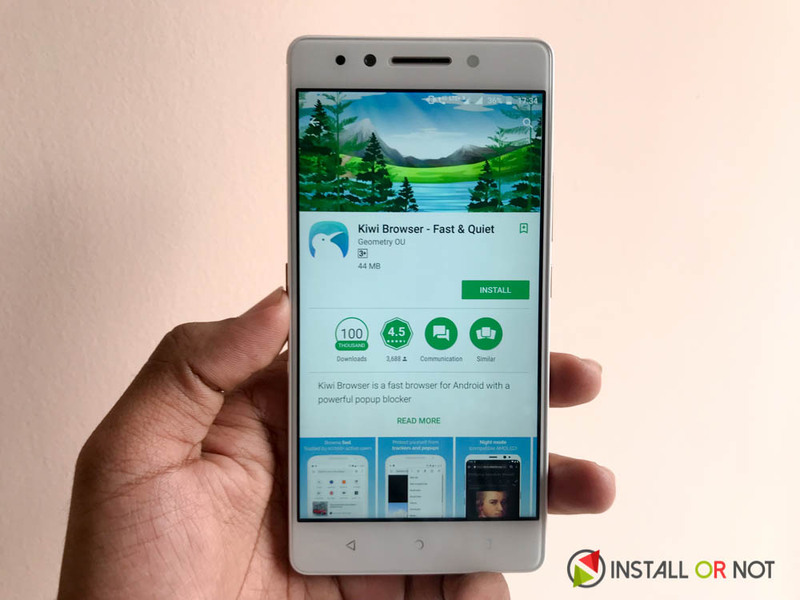 One of the major advantages of this browser is that its the first Android browser that blocks hackers from using your device to mine crypto-currency. It has a crypto-mining blocker as well which keeps away the cryptocurrency hackers. We see that most of the bowers do not support facebook messaging on the web. they suggest us to download the Messenger app to do the chat. But with Kiwi Browser, just go to m.facebook.com and chat with your friends without having to install the additional application. The UI of the Kiwi Browser comes with a customizable contrast and grayscale mode. 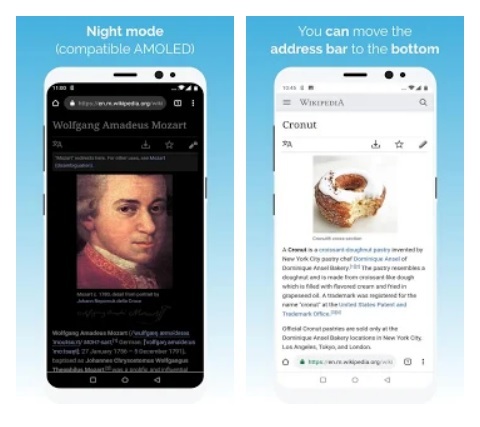 It offers NIght Mode with 100% contrast which turns pure AMOLED black by actually turning off pixels. The 101% mode has pure AMOLED black background with white text to have a good usage. You can select the mode in the settings panel of the browser. These are the few things which we really liked in our usage period of Kiwi Browser. The only disadvantage we saw was here was the missing chrome sync. Despite having a chrome built, Kiwi Browser does not come with it as Chrome does not share it with the third-party applications. Looking at all features we’re getting here, you can surely try it if you’re bored with the same old browser you’re using. Next articleIs Vivo NEX a perfect mix-match of flagship hardware and a modern AI powered software design?